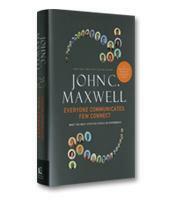 We all need to speak, write, and communicate more effectively. 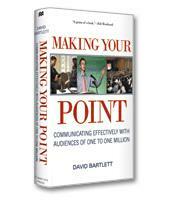 Dave Bartlett shares his decades of experience in an accessible, easy-to-apply guide to help everyone improve their speaking and presenting skills. The tricks are as old as Aristotle and as new as The Daily Show. When it comes to communication, people usually find themselves in one of two camps: We either take for granted that based on the simple fact that we can speak, read and write, we can communicate; or we freak out because we are faced with the prospect of making a big presentation. We seem to spend our daily lives ignoring communication skills, only to panic when life requires us to communicate in a more important, usually more public, way. According to Bartlett, effective communication is not simply about being able to speak clearly, using impressive words and keeping your facts straight. Ultimately, it is about understanding your audience and what their expectations, needs and fears are. Furthermore, effective communication is about anticipating what needs to be talked about and then defining the parameters within which the discussion will occur. Using a refreshing approach, Bartlett actually takes his own advice to heart. In Making Your Point, he has a point to make –– how to achieve effective communication –– and he addresses this concept in a proactive, clear manner that seeks to demystify the communication process. He focuses on a range of situations, from preparing effective presentations to successfully interacting with the media. His advice is simple, straightforward and applicable to a wide range of situations. For example, Bartlett’s advice that your message must be true (true to you and true to your audience) is an excellent way to determine how to shape your message. Making Your Point is packed with vivid, real-world examples, ranging from the communications triumph that grew out of the 1980s Tylenol scare to why Richard Nixon managed to do more damage to his reputation than good with his statement “I am not a crook.” These anecdotes illustrate Bartlett’s points and help the reader understand how they can be applied. In addition, Bartlett makes the effort to demonstrate concepts to his readers: When discussing the difference between a message that is written to be read on the page versus a message intended to be spoken aloud to an audience, he actually includes two versions of the same story, one meant to be read silently and one meant to be delivered to an audience. This ensures that this concept is clear before he advances in his discussion of writing for effective public speaking.This is just one of the book’s many lessons in effective communication.